Pottery Cool is the new way to create with clay! Mould and shape the clay discs onto the pottery wheel, and let it spin whilst you mould and customise your pottery design with the scultping tools included! Let your clay design air dry, then paint it with the cool paints and display. 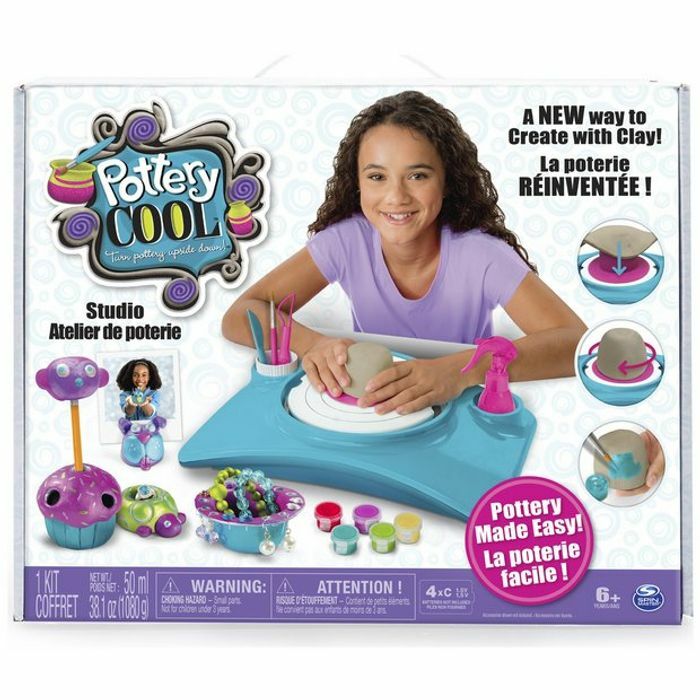 The Pottery Cool Studio allows you to craft 6 clay projects or get creative and sculpt your own designs. Turn pottery upside down with Pottery Cool! Styles may vary. 4 C batteries required (not included). For ages 6 years and over.